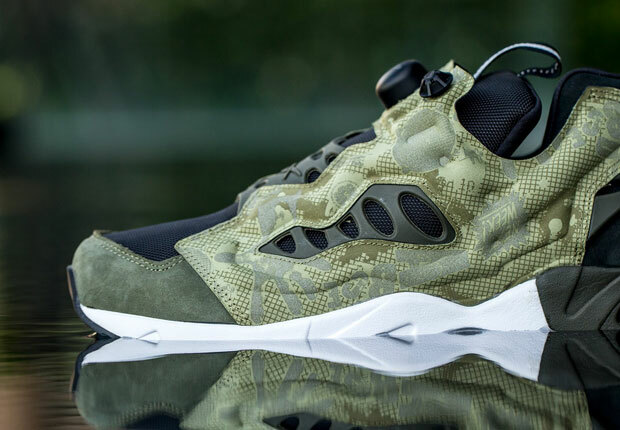 Already with many collabs by Stash in the books, now Reebok joins up with another renowned street artist for a rendition of the Instapump Fury Road. 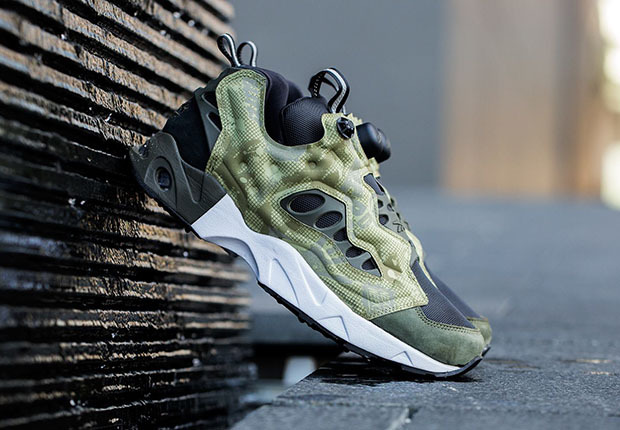 It’s English street/pop artist Swifty that gets the honor of using the Fury Road as his canvas, creating a black and olive green colorway constructed in suede, mesh and nubuck with his artwork printed across the exoskeleton Pump chamber. 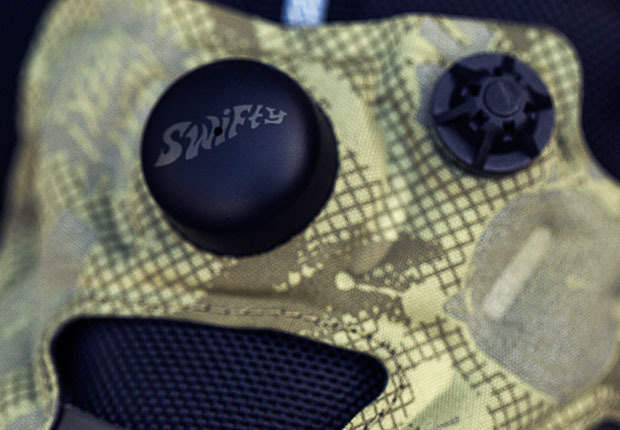 “Swifty” also shows up in place of the Pump logo on each Pump button. 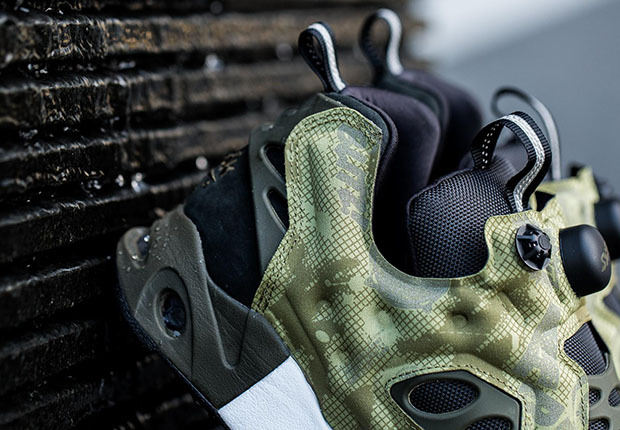 Expect to find the Swifty x Reebok Instapump Fury Road at select Reebok Certified network retailers soon.